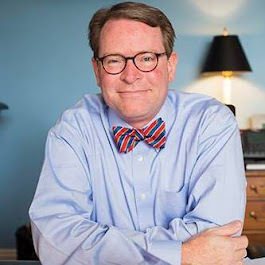 Old North State Politics: Where Is The Uproar Over Charlotte's #RNC2020 Bid Coming From? Where Is The Uproar Over Charlotte's #RNC2020 Bid Coming From? With the pending decision by the Charlotte City Council on whether to formalize the bid for hosting the Republican National Committee's 2020 Presidential Nominating Convention causing a great deal of controversy in the Queen City, it might be good to step back and see the transition that Charlotte has undergone, and continues to do so, in its political behavior and how its politics, especially at the presidential level, is playing out. 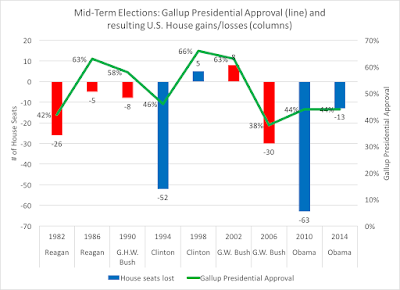 First, a word about the methodology used for the below illustrative maps: for a while, I have adapted Charlie Cook's Partisan Voter Index, or PVI, to illustrate how precincts vote in comparison to the national performance of the presidential candidates. So, for example, if a presidential candidate received 52 percent of the national vote, and a precinct voted for that same candidate with 57 percent of the vote, that precinct would be a "+5" to that presidential candidate's party. 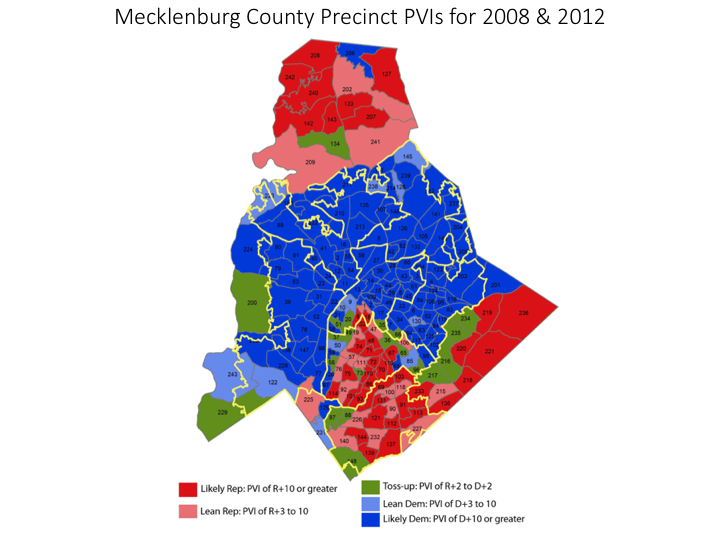 When you get into the areas of South Charlotte, such as Myers Park and South Park leading down to the South Carolina state line, it looks like a "Republican wedge"
To say that Charlotte has become a "Democratic" city is an understatement; just look at last year's mayoral contest to see it align more closely with its typically voting patterns in even-year elections. 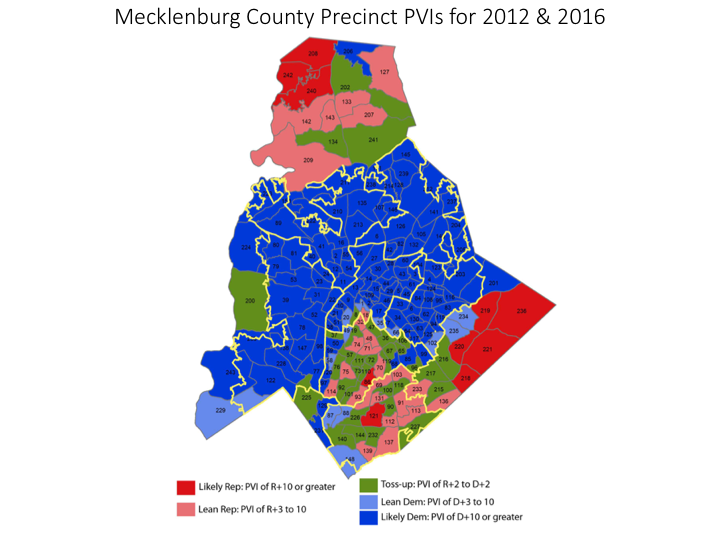 And with the Queen City becoming such a blue-dominated area, the reaction against having a candidate be renominated in a county that barely one-third of the voters cast their ballots for, is there any wonder why such an uproar is occurring?